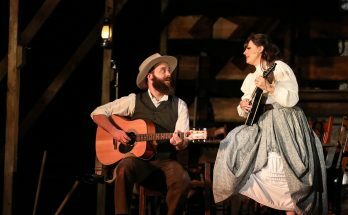 When the 2019/20 artistic season begins at True Colors Theatre Company, a torch will be passed, perhaps THE torch. Kenny Leon, who has led the company since its founding 16 years ago, will become artistic director emeritus and continue to oversee the August Wilson Monologue Competition National Finals. Associate artistic director Jamil Jude becomes artistic director. Jude, a 32-year-old producer-director-playwright-dramaturg, joined True Colors in September 2017. Before that, he was an artistic programming associate at Park Square Theatre in Minneapolis-St. Paul and co-producer of the Twin Cities’ New Griots Festival, which is dedicated to celebrating and building the careers of the cities’ emerging black artists. He is known as a champion of new work as well as socially relevant work. 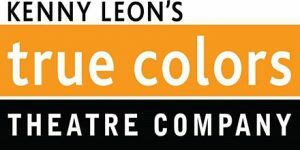 At True Colors this season, he directs award-winning playwright Dominique Morisseau’s Skeleton Crew (Feb. 12-March 1, 2019, at the Southwest Arts Center). Jude also directed last winter’s King Hedley II, by the great August Wilson. Skeleton Crew is the ninth most-produced play at American regional theaters this season, according to American Theatre Magazine, which counts such things. Jamil Jude is moving up. Jude has directed at Olney and Forum theaters in the Washington, D.C., area; Curious Theatre in Denver; and Birmingham Children’s Theatre in Alabama. 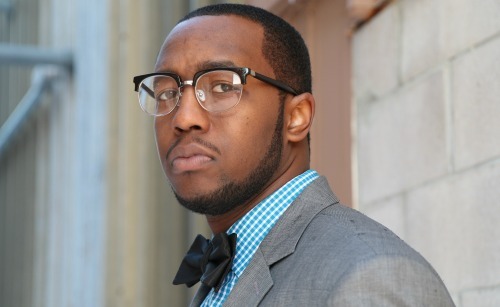 He has been a New Play Producing Fellow at Arena Stage in D.C. and is a National New Play Network affiliate artist. Leon, 62, has been splitting his time between Atlanta and New York, among other cities, for several years. He has directed nine plays on Broadway, most recently the 2018 revival of Children of a Lesser God. He has been nominated for two Tony awards, winning best director for the 2014 revival of Raisin in the Sun. 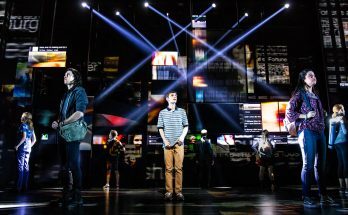 His latest Broadway project, the new play American Son, begins previews Oct. 6 and opens Nov. 4 at the Booth Theatre. The drama is set in a Florida police station, where an estranged interracial couple reunites to deal with the disappearance of their teenage son. Steven Pasquale (The Bridges of Madison County) and Kerry Washington (TV’s “Scandal”) play the couple. Leon co-founded True Colors in 2002 with managing director Jane Bishop (who died in 2012). 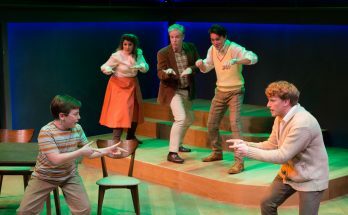 They had worked together at the Alliance Theatre and envisioned a company that looked like the world and that encouraged people of all cultures to sit side by side and bring their unique perspectives to the art onstage. The company will still be known officially as Kenny Leon’s True Colors Theatre Company, a spokesman said, and Leon will keep his home in Atlanta. Next at True Colors is Nina Simone: Four Women, beginning previews Sept. 25 and running through Oct. 21. Details HERE.